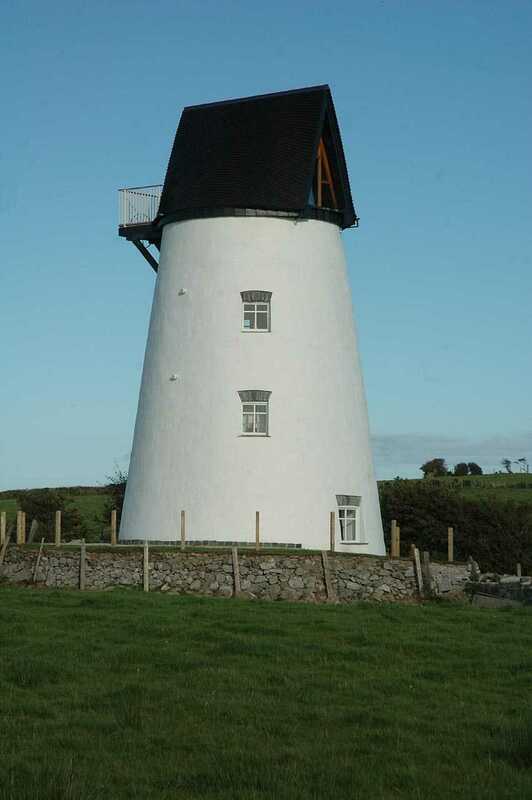 Llandrygarn Windmill - known as Melin Trer Ddol on the Isle of Anglesey (Ynys Môn) in North Wales. Llandrygarn, Melin Trer Ddol Windmill - I am not sure if the other building was the original Granary, or if it is a new build. 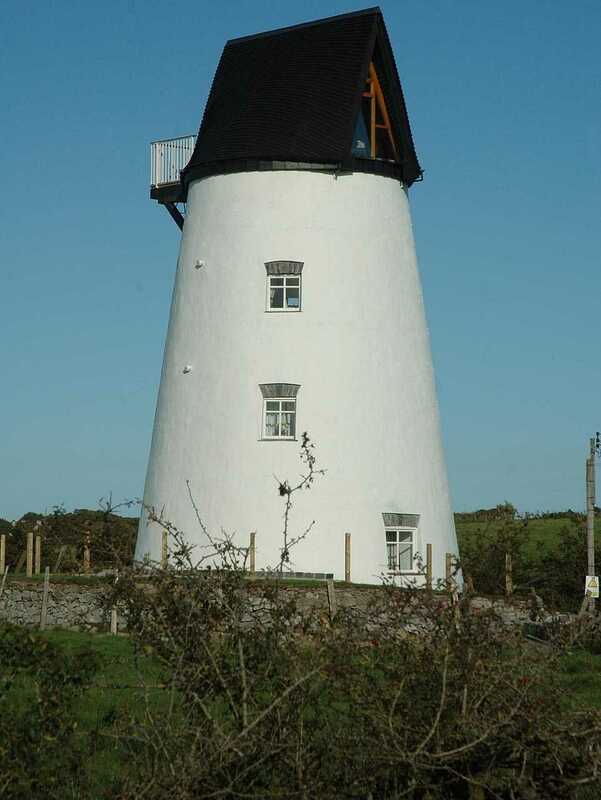 Melin Trer Ddol Windmill was built prior to 1824, and at some stage in time was located very close to another Mill named Melin Newydd (New Mill). Whether this other Mill was a Windmill or Water Mill is as yet unknown to me. 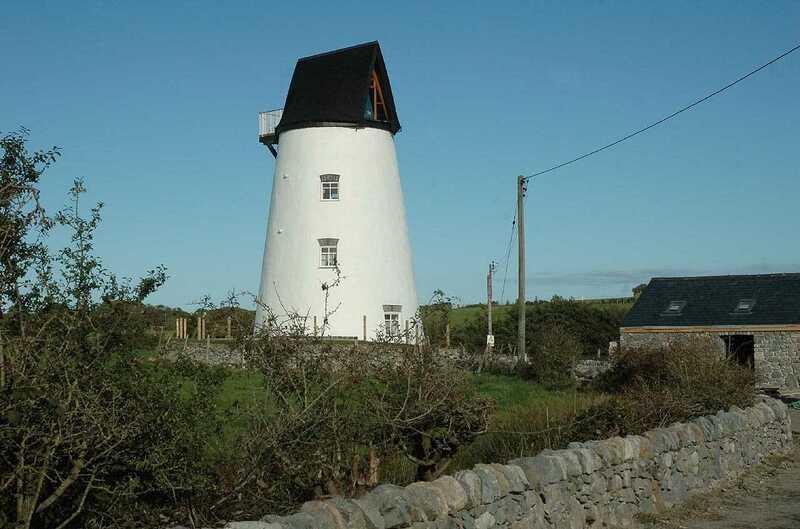 However, Melin Trer Ddol Windmill was destroyed by a storm in the 1920's - and it may have been decided either that it was beyond economical repair, or that cheap imports of corn did not warrant the repair. This piece of scandal would have rocked the parish (especially as it was in the year 1824). The miller of Felin Tre'r Ddol - William Roberts - was brought to book for bastardy, he being the alleged father of the child of a single woman - Elizabeth Hughes - of the same parish of Llandrygarn. In 1881, a widower aged 81 - Richard Roberts - is listed as being the miller and a farmer of 20 acres. His fifty year old son - Rowland - and thirty seven year old son - Richard - are both also listed as millers. The household also boasted a dairy maid, labourer, mill carrier and general servant. 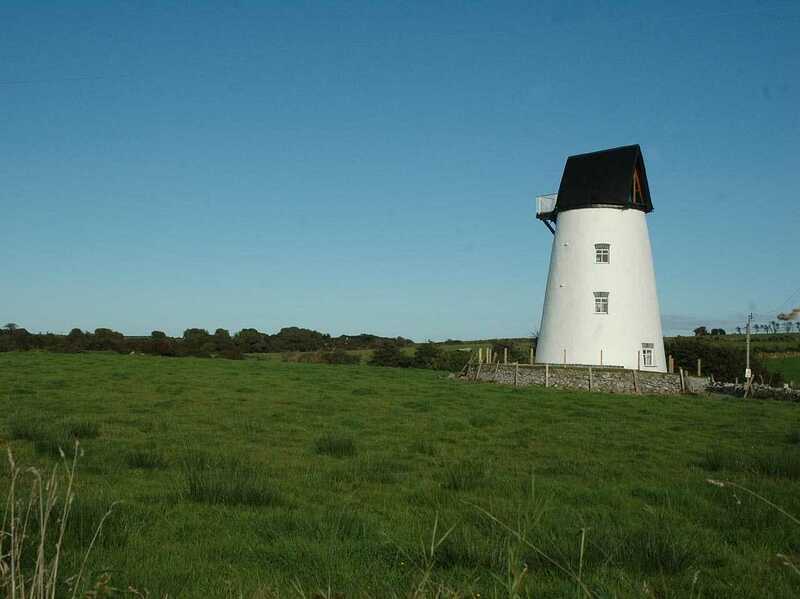 When I am on my regular jaunts around Anglesey photographing Churches, ancient monuments, or whatever, I find these restored windmills so aesthetically enjoyable, and due to its' prominent location just off the Llangefni to Bodedern road, this one is a delight as it comes into view.